As the Sutherland Springs, Texas community grapples with the church shooting Sunday that left 26 people dead, any sort of action in Congress to tighten gun laws has stalled. Following the Las Vegas shooting in early October, there was a push to ban bump stocks, but momentum to do so has since died down and there's little sign of legislative movement on it now. It's unclear if such a ban would have made a difference in the shooting that unfolded Sunday. Sen. Dianne Feinstein, D-California, had introduced a bill to ban bump stocks in the upper chamber. It currently has 39 co-sponsors -- all Democrats -- but she continues to look for a Republican co-sponsor. In the House, there is also no movement on two proposed bipartisan measures. One, introduced the week after the Las Vegas shooting by Rep. Carlos Curbelo, R-Florida and Seth Moulton, D-Massachusetts, would ban the manufacture, sale and use of bump stocks and similar devices. An aide familiar with the bill says it currently has 13 Republican co-sponsors and 13 Democratic co-sponsors, but the aide said there is now a standoff between leadership, which insists it should be a regulatory fix and the federal government saying it requires legislation. 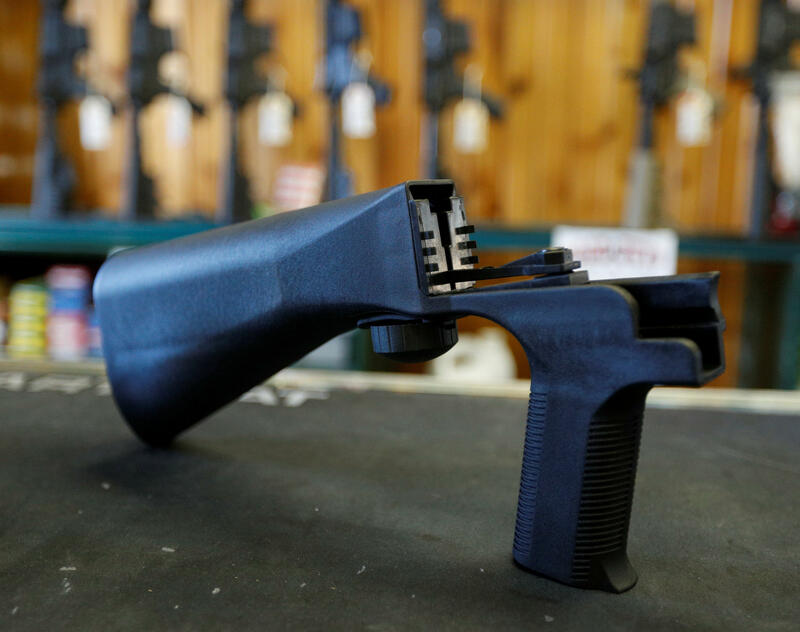 Another was introduced last week by two Republicans and two Democrats and it would allow the Bureau of Alcohol, Tobacco, Firearms and Explosives (ATF) to regulate bump stocks like silencers and machine guns. Their bill would require anyone who has a bump stock or buys one to register it with the ATF. Last month, Speaker Paul Ryan, R-Wisconsin, said that he would prefer that the ATF fix the situation. "We are still trying to assess why the ATF let this go through in the first place," Ryan said. "Yes, it makes sense that this is a regulation that probably shouldn't have happened in the first place." GOP leaders have suggested that the Obama administration is to blame for allowing the sale of device, known as bump stocks, and that the executive branch should simply reverse the policy. Without legislation, however, it seems unlikely that the Trump administration could do that unilaterally, given previous assessments of the device. The National Rifle Association (NRA) initially said that bump stocks should be regulated, but then CEO Wayne LaPierre told CBS News' "Face the Nation" that the ATF should "do its job." He didn't commit to supporting legislation that would ban bump stocks. CBS News' Catherine Reynolds and John Nolen contributed to this report.